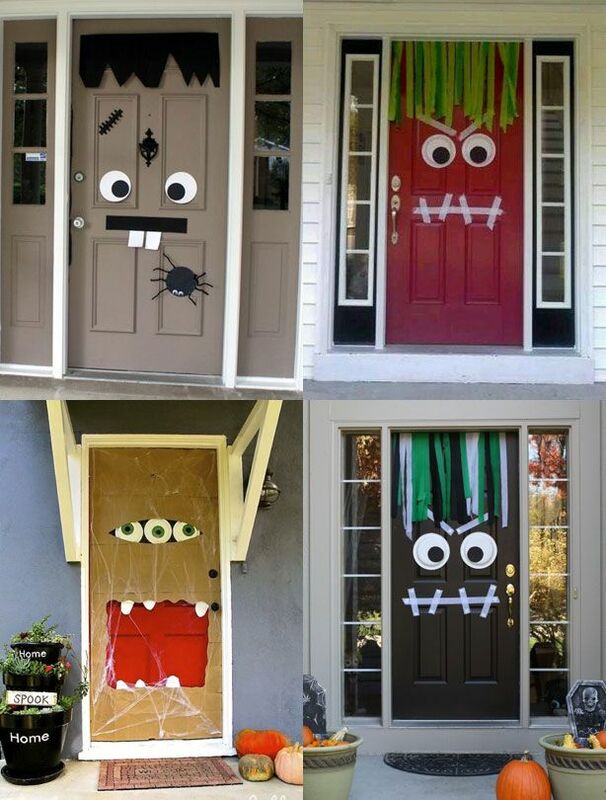 While kids will enjoy the most with this kind of DIY projects, most adults have a flair for horror and spooky things this Halloween as well. Whether you are the artistic type or not, you will find a Halloween decorating project that will make Halloween as fun and as exciting as the year before. Illuminate the dark areas in your rooms and the bushes around your home with glowing eyes. This can be made out of your used tissue rolls. Simply cut out holes that will serve as the eye for your project and glue glow in the dark eyes into the holes. Attach a string at each side of the tissue roll and hang them around your bushes for the spooky feeling that someone is looking at you at night. Give your trees a unique personality by having eyeballs placed on them. 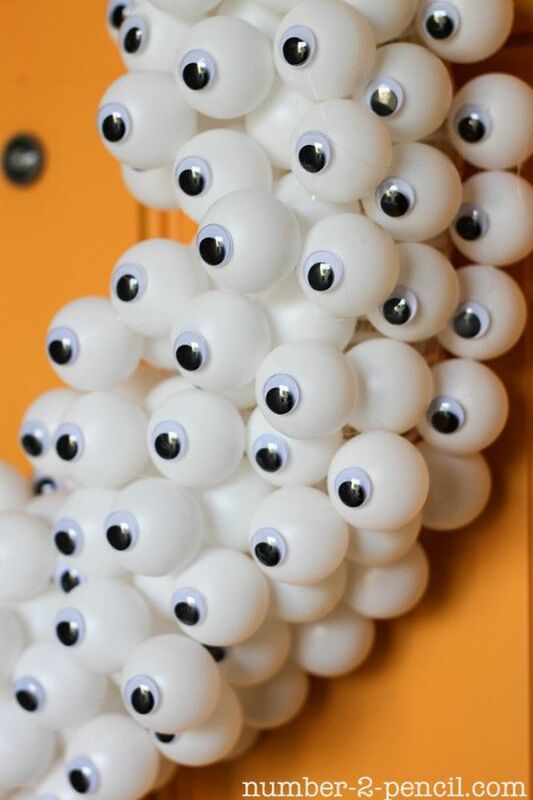 Creating the eyeballs is a breeze with some inflated balloons or recycled paper painted in white. Have your husband do the setting up on your tree. Dedicate a big wall, preferably the one you have on your façade, for spider webs. You can simply spray ready-made spider cob webs sold in bookstores and specialty stores. You can add a few small spiders or a really big one to be the center of attraction of your décor. Do you have an archway at home? Decorate it with some colored papers and create an image of a big mouth ready to devour your guests. You can cut out triangular shapes and string it like a garland to look like pointed teeth of your monster. Draw big eyes and other colorful shapes to make your monster less scary for the little kids. Mason jars are so in the trend so you’ll definitely have plenty of jars available at home for some trick-or-treat decorations. 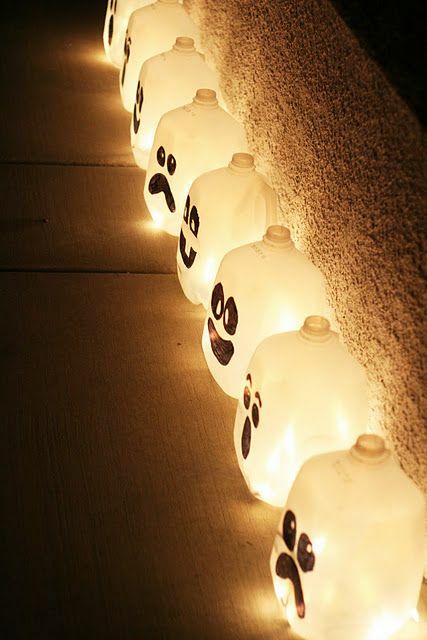 Simply draw ghouls and monster faces on your jars and light them up at night with flickering candle lights. Darken your indoors and decorate your windows with orange and black colored papers for some fun Halloween-inspired décor. 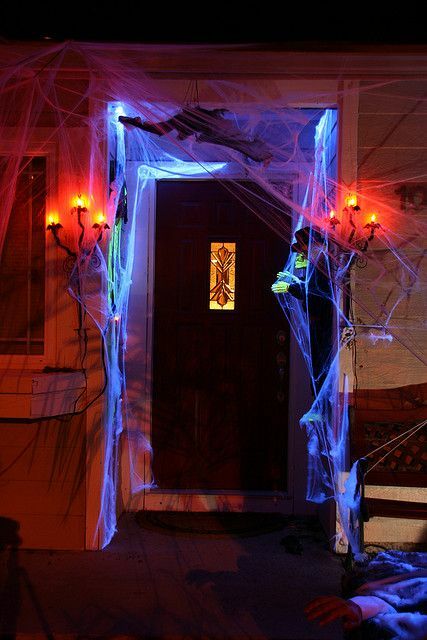 Simply cover your window glasses with orange construction paper and then attach cutouts on black paper or cardboard of silhouettes of haunted trees, witches, skulls and other Halloween symbols. Explore the gory side of Halloween and decorate your lawn or your porch with several jars containing body parts. You can simply buy slay or plastic-shaped body parts and place them inside jars with different colored liquid inside. To add gore to your décor, you can also add red streaks on your jars so they’ll look bloody. There are more ways and DIY projects that you can do alone or together with your kids or the whole family to have a more interesting and creative Halloween décor for this year’s Halloween festivities.